Here at Ciao Pittsburgh, we plan to post recipes for Italian-related food. We came across this recent recipe from the UPMC Health Plan. 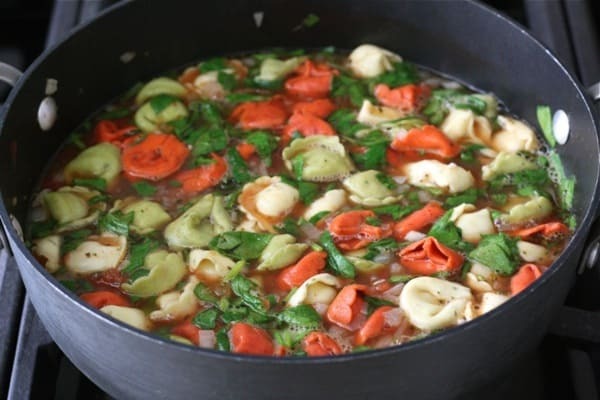 The quality ingredients below will help you make a nutritious, savory Tortellini soup. If you have any recipes you’d like to share with our readers, please email jack@ciaopittsburgh.com. Put into a 4 to 5 quart heavy pot with 8 cups of water. Bring to a boil, reduce heat to medium, and cover. Simmer until the beans are tender (1¼ to 1½ hours). Add 4 cups water, the remaining ingredients, and the chopped carrots and celery if desired. Reduce heat to low and cover. Simmer ½ hour, until tortellini and vegetables are tender. Nutritional Information Per Serving: 210 calories, 13g protein, 37g carbohydrate, 2g fat, 5mg cholesterol, 11g fiber, 270mg sodium.